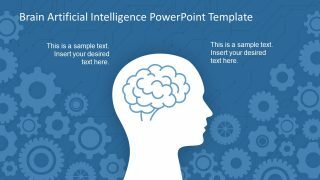 Brain Artificial Intelligence PowerPoint Template – A single slide of graphic illustration of science and technology concepts. Most PowerPoint templates of digital technology show graphics like gear system in brain or data network as brain. But SlideModel presents a creative layout of neat and simple human head silhouette and brain icon. And, amazing background pattern of gears and circuit board bus pattern gives away the artificial intelligence part. 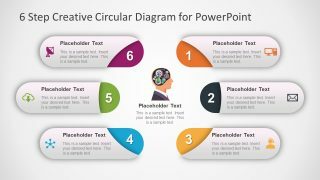 Such brain PowerPoint templates are presentation tool to communicate topics of information technology in graphic. 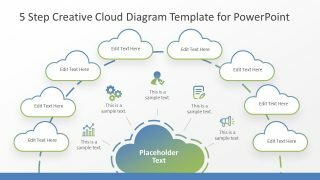 The slide contains two text placeholders to add descriptive information and users can duplicate these placeholders for more information. The Brain Artificial Intelligence PowerPoint Template is ideal for startup and entrepreneurs. The presenters can display their research and ground-breaking artificial intelligence project using brain slide. 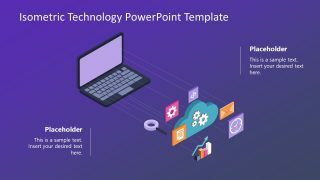 Further, users can tweak the design of slides to create more layouts and turn this PowerPoint into complete presentation. Similarly, the teachers can create learning presentation to deliver a concept of artificial intelligence. 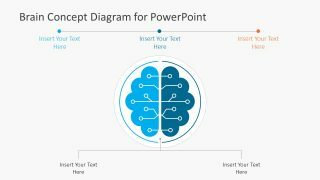 This brain PowerPoint template contains editable brain icon and human head silhouette, enabling users to customize them. For example, changing the colors and size of shapes. Furthermore, the pattern of gears is an editable section, but users can ungroup to use separately.